If you follow me on Instagram, then you know we were out of town this weekend for our last wedding of the summer. The wedding was for one of my good friends from college and was actually held at our alma mater. It was so fun to go back for the weekend and catch up with college friends and reminisce about the days when we were in college. 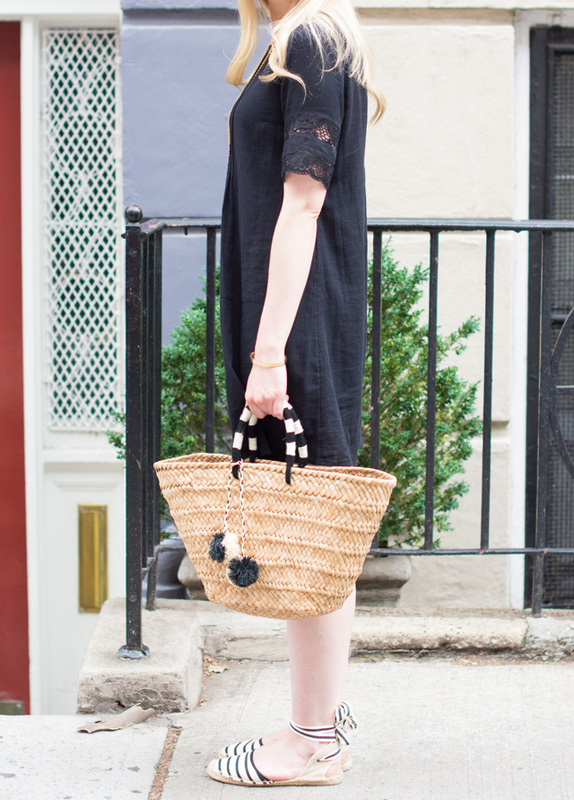 Love the look, perfect styling with the espadrilles and woven bag!